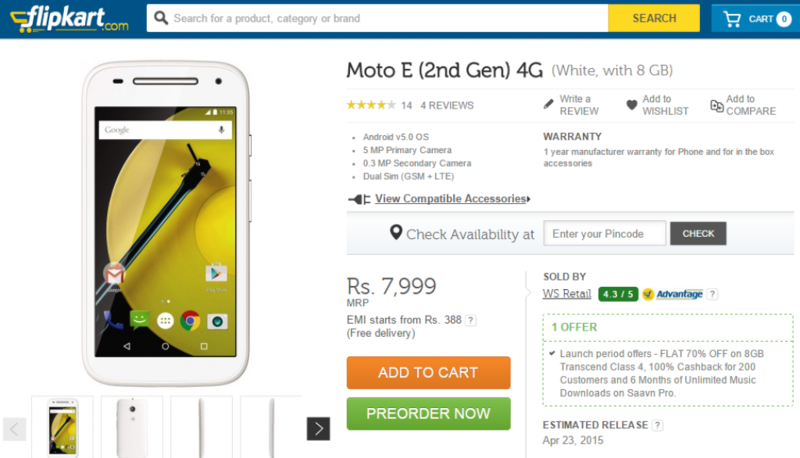 Update: After listing the smartphone for pre-orders last week, the Moto E (Gen 2) 4G is now available for purchase via exclusive partner Flipkart.The smartphone is priced at Rs. 7,999. The Motorola Moto E 3G uses Qualcomm Snapdragon 200 SoC whereas the Moto E 4G is powered by Qualcomm Snapdragon 410 SoC. 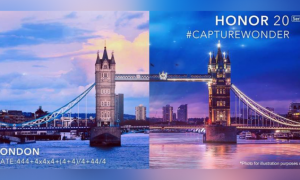 The Snapdragon 410 SoC houses a 1.2GHz quad-core Cortex A53 CPU along with Adreno 306 GPU. 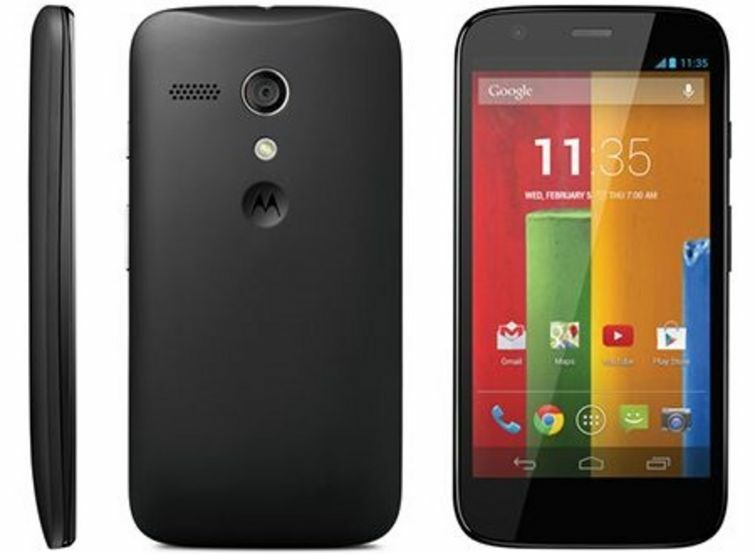 Motorola launched its 2nd Gen. Moto E (3G Only) smartphone in India, last month. The smartphone has been priced at Rs 6,999. The phone is available exclusively via online retailer Flipkart. Motorola has launched its 2nd Gen. Moto E smartphone in India, last month. The smartphone has been priced at Rs 6,999. The phone is exclusively via online retailer Flipkart starting tomorrow. Moto E 2015 features a 4.5-inch qHD (560×940) touch screen. On camera front, it has a 5 MP rear camera and secondary VGA camera. 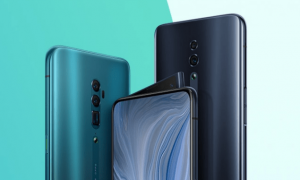 The smartphone is powered by Qualcomm’s Snapdragon 410 SoC, sporting a 1.2 GHz quad-core Cortex-A53 CPU and Adreno 306 GPU coupled with 1GB of RAM. 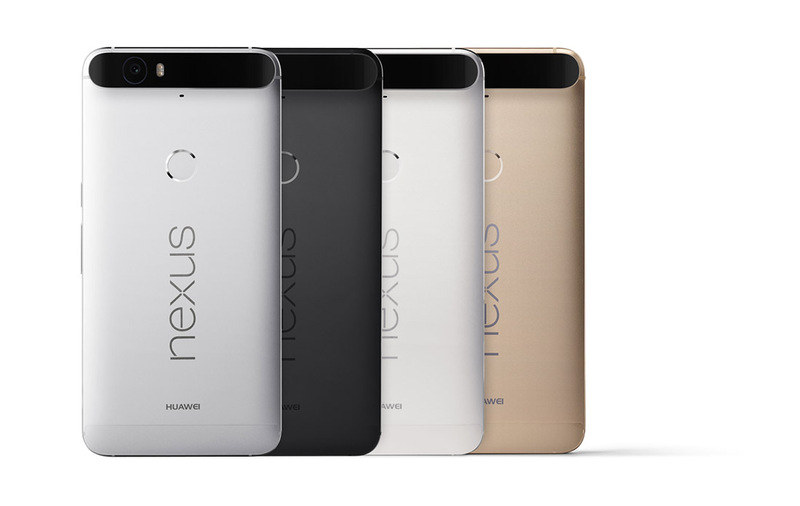 The phone runs Android 5.0 Lollipop. 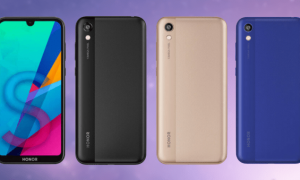 It has 8GB of storage, a microSD card slot for expansion, and a 2,390 mAh battery. 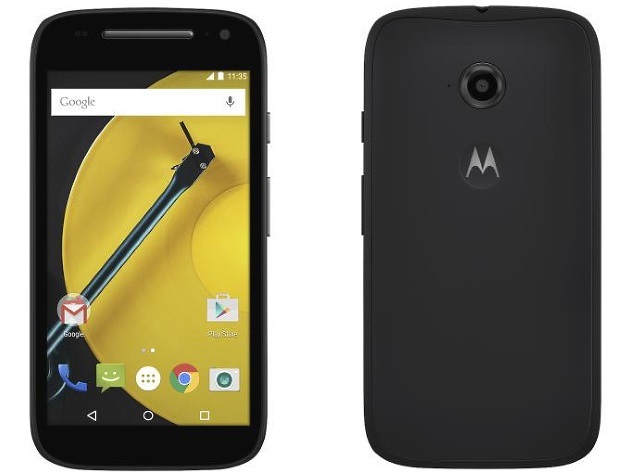 Motorola has started selling the 2nd Gen Moto E 3G in the US, at $119. The second Generation Moto E sports a 4.5-inch IPS display with 540 x 960 pixels. It is powered by 1.2GHz quad-core Qualcomm Snapdragon 410 processor. Internal memory has also been improved from 4GB to 8GB, and the display is now also a bit larger at 4.5-inches, rather than 4.3-inches. The display’s resolution remains the same at 960 x 540 (qHD) resolution. The new Moto E (2nd Gen) 3G varaint will start selling at INR 6999. It will be exclusively available on Flipkart. Though, the availability details of the device is still unknown. Earlier: Motorola has launched the 2nd Generation Moto E smartphone. 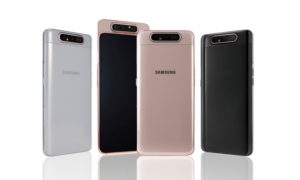 The phone is being released in two versions. 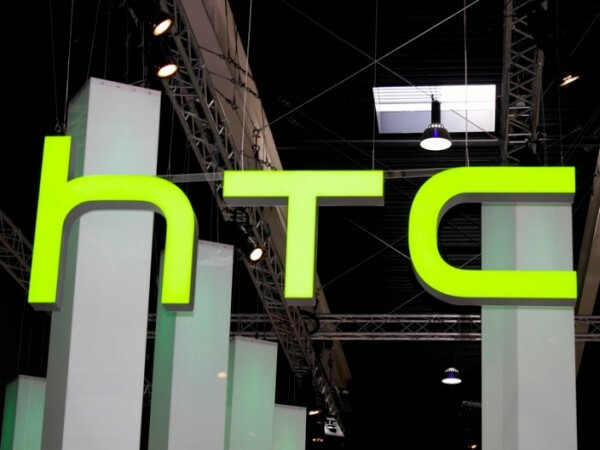 The first being the LTE model that primarily targets the US market in its LTE frequency bands. There is also the pair of 3G versions, with one again targeted at the US and the other more globally. The second Generation Moto E is powered by 1.2GHz quad-core Qualcomm Snapdragon 410 processor. Internal memory has also been improved from 4GB to 8GB, and the display is now also a bit larger at 4.5-inches, rather than 4.3-inches. The display’s resolution remains the same at 960 x 540 (qHD) resolution. 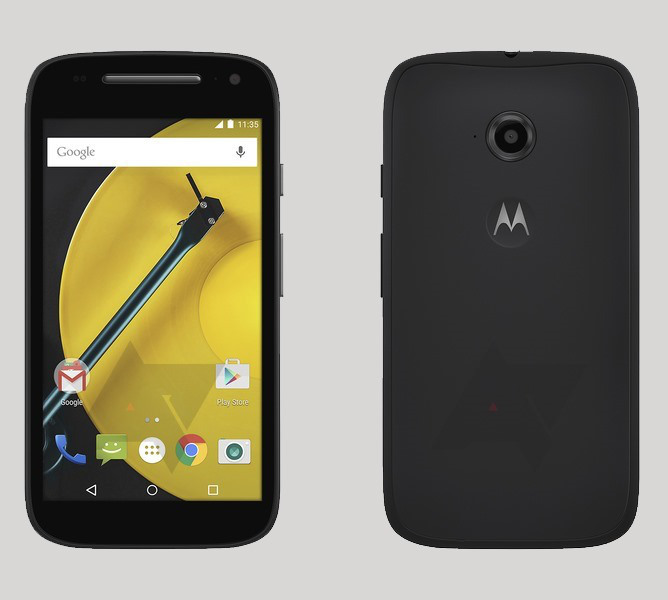 The new Moto E comes with Android 5.0 pre-installed. 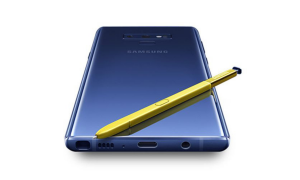 The phone now only has one silver bar for the earpiece, dropping the one at the microphone, and the microSD and SIM card slots can now be access by removing a side panel rather than the rear cover. 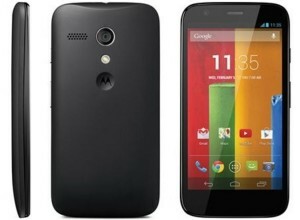 The second generation Moto E is listed on the Motorola website with a retail price of $149.99. The handset is available in black or white color options.